The Ultimate in Support Stability and Convenience... 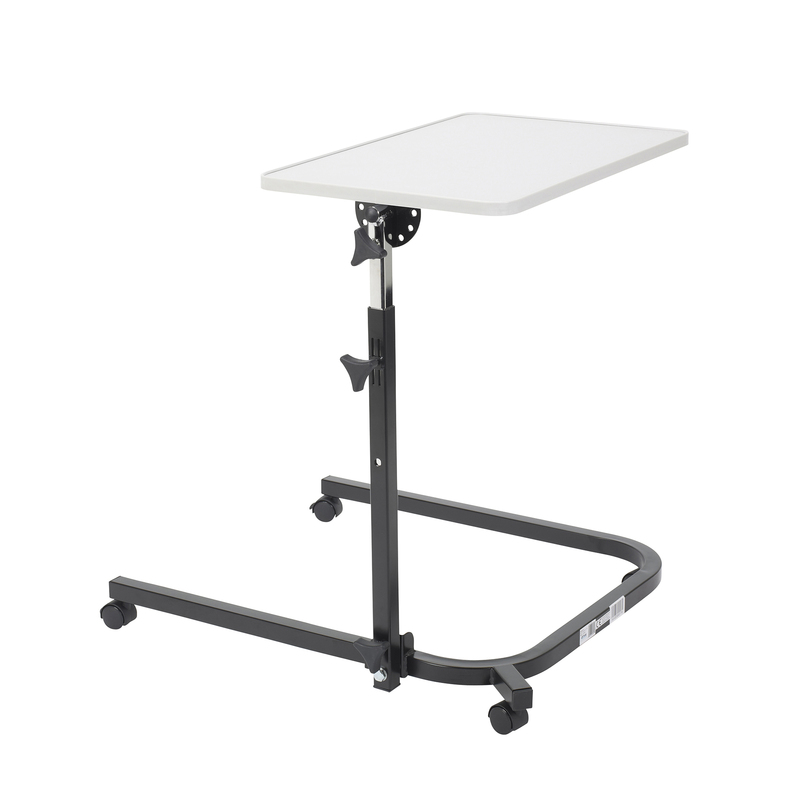 When You Need it Most Whether by choice or of necessity The Pivot and Tilt Adjustable Overbed Table Tray by Drive Medical is a treasured convenience as well as a valued asset if you must or simply like to spend long amounts of time in bed.This over the bed table will provide you with an abundance of solid support unbeatable stability and ample surface room that places this table tray head and shoulders over any other.If that wasn't enough what makes The Pivot and Tilt Adjustable Overbed Table Tray the only one of its kind is its pivot drive. Unlike other table trays this bed support appliance can be adjusted to not only accommodate the height of your bed's mattress but also slip effortlessly under your bed for a snug fit thanks to its revolutionary angled base.This provides you with an up-close convenient and personal fit each and every time.Starting today you never need to feel uncomfortable again while lounging away your time playing a game or simply getting some much needed work done while spending time in bed. Go ahead...Experience the Drive Difference Now!